“What have you done for me lately” is not just a Janet Jackson music video. It is a life and business philosophy that says that you turn on the charm and effort only when the other person goes first. That isn’t particularly good business, and it is terrible Christianity. The gospel of God’s grace teaches us that he went first, bearing great gifts, risking rejection, hoping for a faith and life response. God did that not only to change your status with him from prisoner to friend but to inspire you to treat other people that way. King Solomon’s wise and older royal advisors recommended a humble strategy to the late king’s young son, crown prince Rehoboam: “If today you will be a servant to these people and serve them and give them a favorable answer, they will always be your servants” (1 Kings 12:7). Brilliant advice. Unfortunately Rehoboam sought out advice also from spoiled and immature younger advisors who advised a hard-edge approach. He adopted their strategy, and a bitter civil war resulted that permanently split the country. “Serve people and they will serve you” is a beautiful and concise summary of how you and I can put the gospel into action in our lives. It carries God’s promise that you will not impoverish yourself by being generous, by taking the risk of going first. As you meet other people’s needs, God will see to it that yours will be met too. Your spiritual growth doesn’t happen all at once. It happens over time as you study God’s Word. 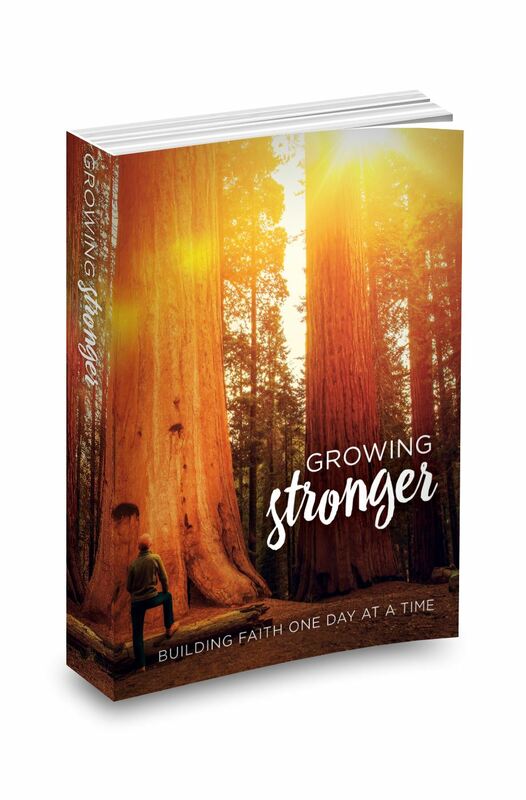 That’s why we’d love to send you this 365-day devotional called Growing Stronger as thanks for your support today.